Video editing has emerged significantly over the years. Coming a long way since the Kinetograph and First Cuts days, it has gotten to the point where Hollywood is no longer the primary user. 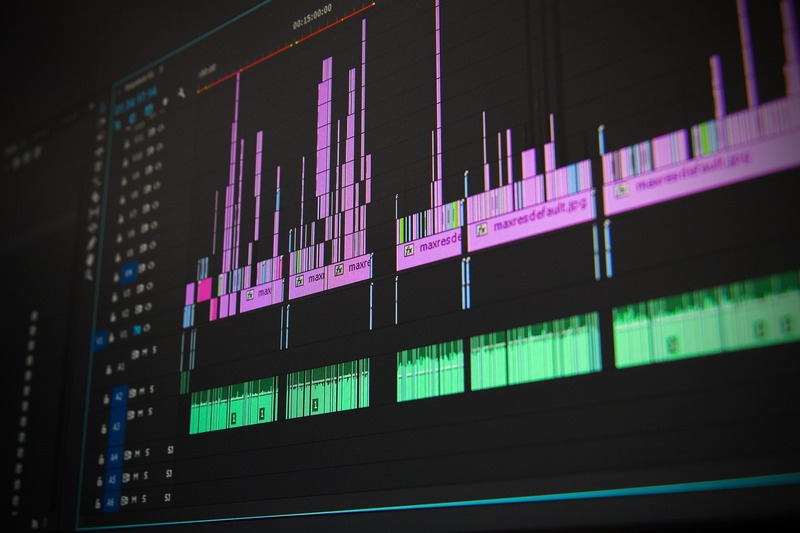 There are now YouTubers, internet marketers, and various businesses incorporating the editing tasks when creating video content. However, although it’s essential, the post-production process can become quite expensive. Luckily, there are still some alternatives. One of them being: free to use apps on android smart phones. Here are some of the top 5 mobile video editing apps to use in 2018. Developed by Cyberlink, the video editing app has been able to make improvements every year. Some of PowerDirector’s key features are: allowing users to have speed/audio control, create green screen videos, advanced color correction, add customizable special effects, text, and stickers to specific clips of the user’s choosing. But what distinguishes the app from others is it’s advanced timeline interface and the option to edit videos in landscape/portrait. Owned by Nexstreaming Corp. and recommended by the Editors’ Choice on Google Play, the full-featured video editor app supports precision editing, multi-track audio, 3D transitions, voice change filters, and contains great title and layering effects. However, like most free video editing apps nowadays, full access to premium features can only be accessed through the subscription based version and trial mode is available for only a limited amount of time. FilmoraGo is a fan favorite for the app’s ability to import from social networking sites. Most notably, Facebook and Instagram. FilmoraGo’s features include: allowing users to create reverse video, make square 1:1 videos for Instagram, Cinema 16:9 for YouTube, add still and slow motion graphics, overlays, transitions, integrate music from the owner’s device, and much more. That being said, despite most of its excellent features being useable in the free version, the watermark at the end of videos are only removable through the upgraded version. Started by GoPro, Quik is immensely popular among the video editing community. The app is completely free, with no in-app purchases being required, and comes with features of decent quality such as, allowing users to choose from over 23 themes and graphic designs, save drafts for 7 days (in case more time is needed to edit), supporting photos/videos in user’s phone or other devices, giving the option to add GPS stickers to determine the speed the user is going, storing videos to camera roll in HD 1080p, 720p, or 60 fps, is ad free, and contains Automátic tools and Manual Mode. Given that the app’s features are much simpler compared to others, Quik is very easy to learn for beginners and requires minimal effort. Ranked as the No.1 video editor & video maker app in many countries as well as being the primary choice of 200 million users, the prestigious app has no duration limits, watermark, no ads, supports over 30 languages, carries video dubbing, enables users to zoom in and out of regions, and allows users to convert the soundtrack of their videos into an mp3 file. Given the app’s recognition, there should be little to no surprise that it’s also supported by almost all android devices. We know video editing can be tedious. Let the experts at Workspace Digital handle your video editing and any other digital marketing tasks you need for your company! Next PostAre Brand Guidelines Important?